This edition of MRM's News Bites features Focus Brands and Jamba Juice, Grubhub, LevelUp and OrderUp , Cheeto's and Roy Choi, Starbucks, Elite Restaurant Group and Daphne's, Roy Rogers and the ment'or BKB Foundation. Focus Brands, Inc. completed its previously announced tender offer for all of the outstanding shares of common stock of Jamba, Inc. Jamba is now a wholly-owned subsidiary of FBI. Jamba Juice has more than 800 locations worldwide. After the Jamba acquisition, Focus, through its affiliate brands, is the franchisor and operator of more than 6,000 restaurants, cafes, ice cream shoppes and bakeries in the United States, the District of Columbia, Puerto Rico and over 50 foreign countries under the brand names Carvel®, Cinnabon®, Schlotzsky's®, Moe's Southwest Grill®, Auntie Anne's®, McAlister's Deli® and Jamba Juice®, as well as Seattle's Best Coffee® on certain military bases and in certain international markets. Grubhub closed its previously announced acquisition of LevelUp. Under terms of the agreement, Grubhub paid $390 million in cash for LevelUp, funded through cash on hand and Grubhub's existing credit facility. 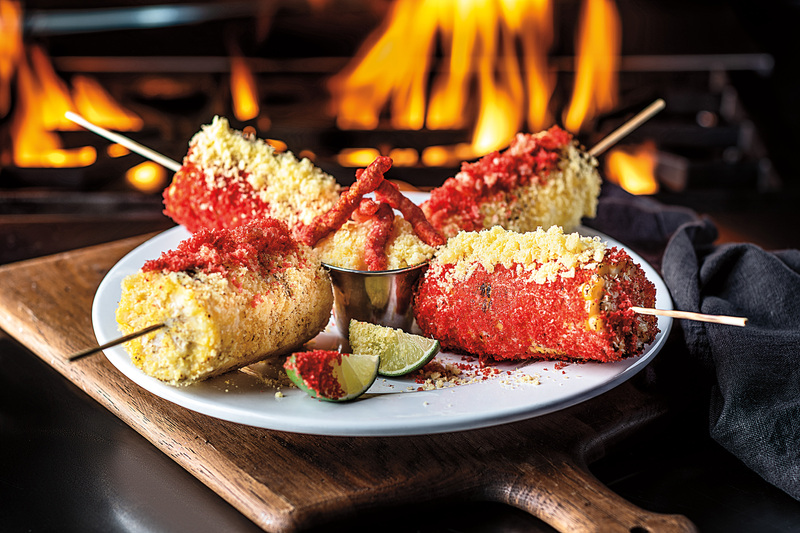 Inspired by fans’ desire for more Cheetos-filled culinary delicacies, Cheetos, is turning up the heat and opening The Flamin’ Hot Spot, a new, limited-time restaurant in Los Angeles dedicated to the beloved flavor of Flamin’ Hot Cheetos. The Flamin’ Hot Spot will open in the heart of Hollywood Hills, Calif., from September 18 through September 20. 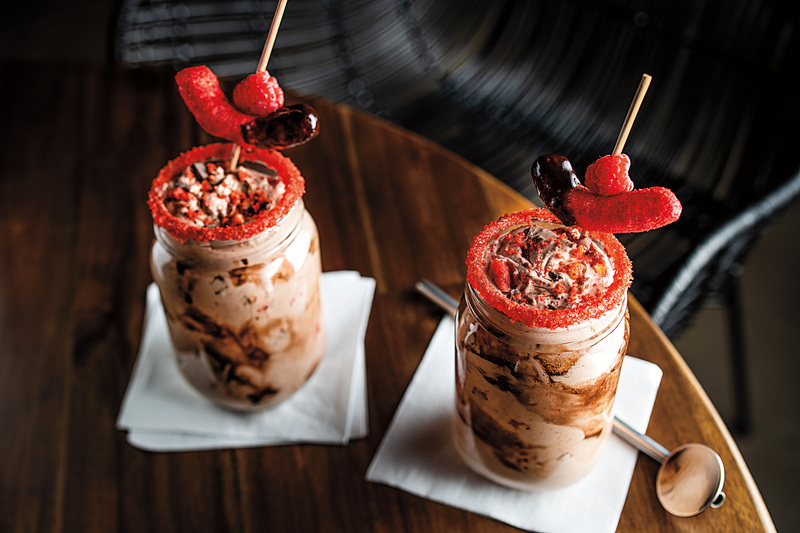 Cheetos and Los Angeles chef Roy Choi have curated a Flamin’ Hot menu inspired by his signature taste and some of his most notable dishes – Hot Cheetos Burrito, Five-Alarm Cheetos Steak, XXTRA Flamin’ Hot Rice Bowl just to name a few. “When we opened the first Cheetos-inspired restaurant, The Spotted Cheetah, we were overwhelmed by the response and excited to see the enthusiasm our fans had for a premium Cheetos-culinary experience. We knew we had to bring it back,” said Brandi Ray, senior marketing director, Frito-Lay North America. 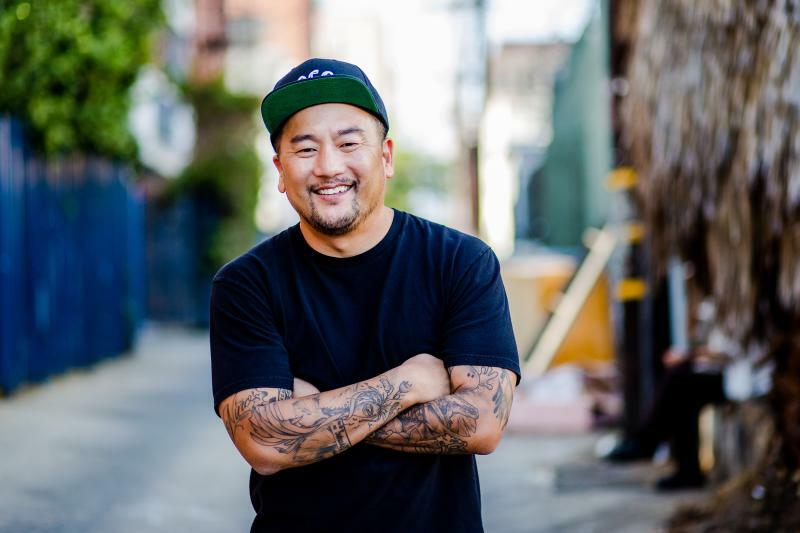 “Chef Roy Choi is the ideal partner to masterfully capture the signature Flamin’ Hot Cheetos kick in our one-of-a-kind menu, and Los Angeles’ incredible passion for cool culinary experiences makes it the perfect location for The Flamin’ Hot Spot," added Ray. Starbucks Coffee Company announced the “Starbucks Greener Stores” framework and a commitment to design, build and operate 10,000 “Greener Stores” globally by 2025. “Starbucks Greener Stores” framework will be built upon comprehensive performance criteria that help ensure the company’s approach to designing, building, and operating its company-owned stores sets a new standard for green retail. Over the next year, Starbucks will develop an accredited program to audit all existing company-operated stores in the U.S. and Canada against the framework criteria, culminating in 10,000 “Greener Stores” globally by 2025, encompassing existing stores, new builds and renovations. “Starbucks Greener Stores” framework will also be open-sourced to benefit the broader retail industry. With this commitment, Starbucks will also further enable and empower its more than 330,000 partners globally to be informed and engaged in sustainability, adding to a burgeoning group of partner advocates through Partners for Sustainability and the Greener Apron voluntary certification program with Arizona State University. Los Angeles-based Elite Restaurant Group has taken over operations of all 23 Daphne’s locations. The group, headed by Michael Nakhleh, has reworked the Mediterranean concept for new growth. The name has been simplified to just Daphne’s, dropping the “California Greek.” All 23 Daphne’s restaurants have been remodeled with a new, more contemporary design that make them more current. They also launched a new menu, created with the help of menu consultants Think Culinary. “Daphne’s will always keep its emphasis on Mediterranean, — but now everything is made from scratch in house, all fresh, with a lot of organic items,” said Nakhleh. Daphne’s has recently opened four new California locations in: Oceanside, Mission Valley, Escondido, Conoga Park. 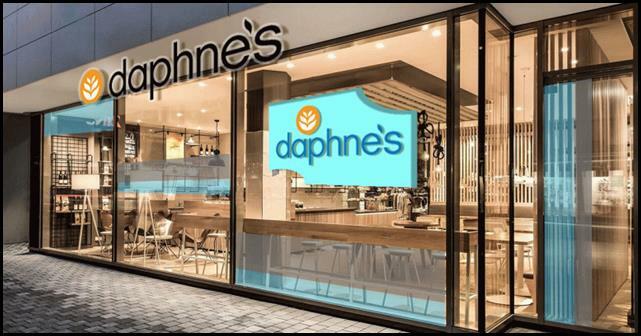 The company has plans to franchise the fast-casual Daphne’s, as well as add roughly 10 new corporate locations annually. The company has also launched Daphne’s-branded retail line in Costco stores, including a gyro kit and two salad kits. Elite also acquired Slater’s 50/50 2016. The company has launched a franchising program for that brand. 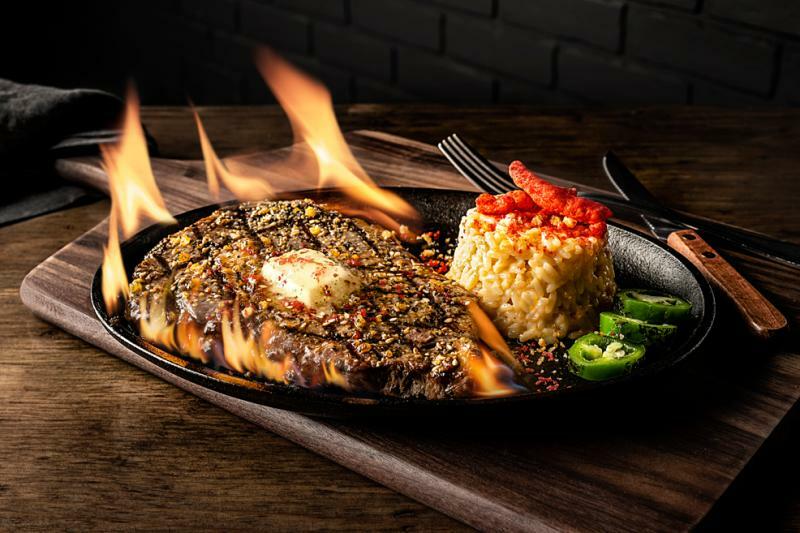 Roy Rogers® Restaurants signed an agreement with Burger Brothers Restaurant Group, a multi-brand franchise developer with locations throughout Long Island, Brooklyn and Queens, to open seven new restaurants throughout Nassau and Suffolk Counties and Queens. The Western-themed quick-service concept famous for its trio of roast beef sandwiches, burgers and fried chicken, plans to open its first new restaurant on Long Island in the fall of 2019. In seeking to reestablish a presence on Long Island, Roy Rogers set out to find a strategic partner that knew the market well and had a solid existing organization able to support new restaurants. Burger Brothers, in partnership with Harry Braunstein of Braunstein Turkish LLP, a long-time business partner of the company, has amassed a restaurant empire covering Long Island’s two counties and New York City’s outer boroughs, with 36 Burger King restaurants, three current locations of The Greene Turtle Sports Bar & Grille, and most recently entering into an arrangement to develop Qdoba Mexican Eats. The Froccaros saw adding Roy Rogers to their portfolio as an ideal way to maximize their share of the local restaurant segment. On Wednesday, December 12, the ment'or BKB Foundation returns to Las Vegas to hold their Annual Young Chef and Commis competitions. All competitors are paired with mentors from the Foundation's Culinary Council or previous Bocuse d'Or Team USA representatives, in tandem with the foundation's goal of inspiring culinary excellence and fostering a supportive community for young talent. Young Chef Candidates must select an assistant to train and compete with, and will have 2 hours and 35 minutes to cook and plate 10 tasting size portions of the dish; Commis candidates will have 90 minutes. Candidates must develop a unique recipe based on the featured protein, lamb loin saddle provided by Pure Bred Lamb. Esteemed chefs and founders of ment'or, Daniel Boulud, Thomas Keller and Jérôme Bocuse will host the event along with a jury consisting of Paul Bartolotta, Justin Cogley, Gerard Craft, Olivier Dubreuil, Chris Hastings, Tim Hollingsworth, Michelle Karr-Ueoka, Gavin Kaysen, Roland Passot, Mathew Peters, Francis Reynard, Rich Rosendale, Curtis Stone, and Philip Tessier. Ment'or Chairman, Chef Daniel Boulud comments, "The Young Chef and Commis competition provides young cooks with an incomparable platform to showcase their skills, passion and creativity. They are given the opportunity to demonstrate their talents and master their work. Our goal at ment'or is to guide them to become the next generation of great chefs in America." Krystyn Navarro, the winner of the first-ever Young Chef Competition in 2014, shared, "Competing in the Ment'or Young Chef Competition was a turning point for me; up until that point, I hadn't yet found my voice and identity as a chef. The opportunity to be part of the Young Chef Competition provided me with not only an incredible platform to refine my technique, but to find my voice and inspiration." Establishing a platform for young American chefs to succeed is at the heart of ment'or's mission. Offering exposure to some of the world's most prestigious chefs, The Young Chef (28 years of age and younger) and Commis (21 years of age and younger) competitions recognize and promote talented young cooks in a competitive environment. 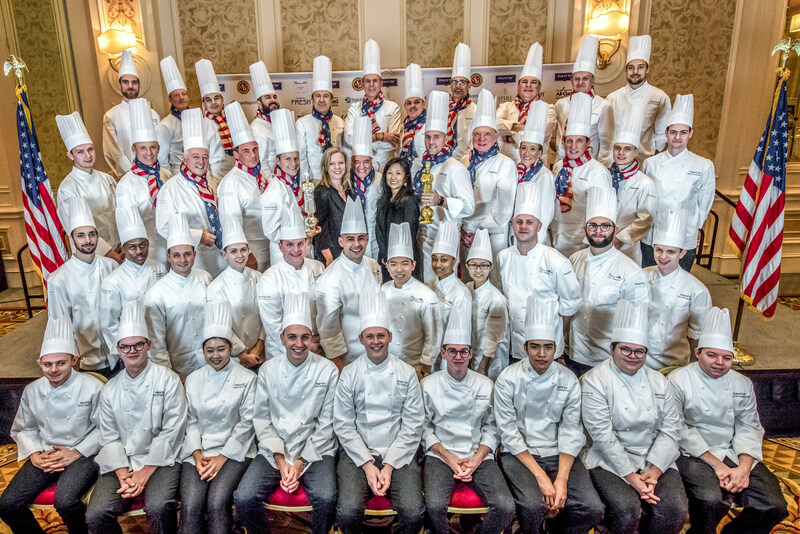 Winners are offered the incredible opportunity to travel to Lyon, France and support Team USA at the 2019 Bocuse d'Or Finale in January. Ment'or has selected seven young chefs and five commis candidates to compete in this year's competition, taking place at the University of Las Vegas, Nevada's Hospitality Hall. Mac Buben, Bistro Bis & Woodward Table in Washington, D.C. The competition will be conducted in front of a live audience and is made possible by: All-Clad, Bridor, Nordaq Fresh, Pure Bred Lamb, and Steelite.